Home / Microsoft Excel / How to Remove Password from Excel (Unprotect an Excel) without Software? This tends to happen a lot of time that we have a file which is quite treasured for us as a very important file. So we tend to put a password and secure it. But the problem that we end up is we forget the password. Maybe for some reason that happens. So how to recover or retrieve a file which is password protected. So let's try it. So I am going to protect a particular Excel sheet with a password and I will show you How to Remove Password from Excel (Unprotect an Excel) without Software? I know it sounds crazy but yes we are gonna do that. So let’s try it. At first, I will go to the review tab, I will be clicking on "Protect Sheet". So, in this case, I'll be putting up a password that's FromSovan.Com is the password for me. Just repeat the same. Once the password is confirmed you see the protection is activated and if I try to type anything it is not going to happen. Now just for the confirmation part please I will save this particular file. Just go to file > save this particular sheet and close it. Now reopen the same file. Now check the tools and you will see all the tools are disabled. You cannot type anything and it’s still protected. Close the file. Now, what is the trick to remove it? To remove the password from the sheet, the first thing you should be able to see the extension of the file. If that's not the case simply go to the “Organize” tab and click “Folder and search option”. 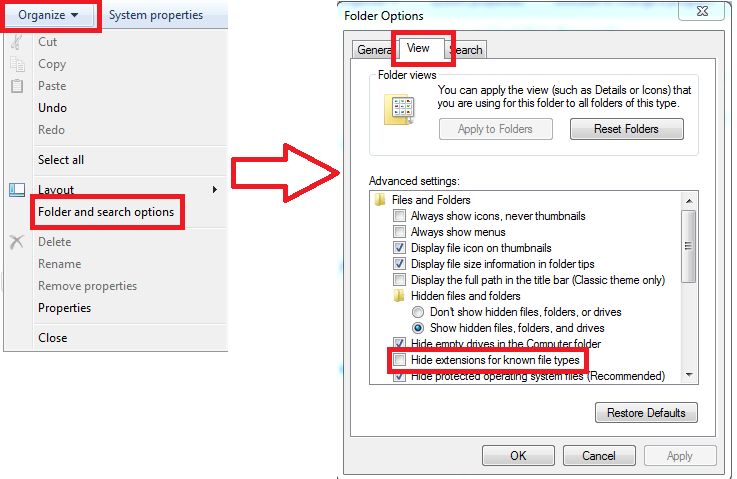 Do to the view tab and in the view tab at the bottom there is an option that says “Hide extensions for known file types”. Now in your case, it might be turned on. If it is so, please turn it off so that we can see the extension. Now you could see the extension. Now comes the trick; rename your file by using either just select press F2 from the keyboard or right-click to rename the extension. Remove the extension and we will be replacing it with "zip" that is a Zip file format; it can be a “rar”. It will show you an alert that you are changing the data type. Simply click “Yes”. Now once it is converted into a Zip file format, open it, in my case, there is an "xl" folder. Now that's what you should look out from. Open the "xl" folder. In the "xl" folder there is another folder call "worksheets", now that's where your sheets will be stored. open it. open sheet1 that is sheet1.xml. After removing the code just save and close it. Now again rename the file name extension as “xlsx”. It will again show you an alert that you are changing the data type. Simply click “Yes”. Now open the file. Now you will see your sheet is protection free. You can edit anything. 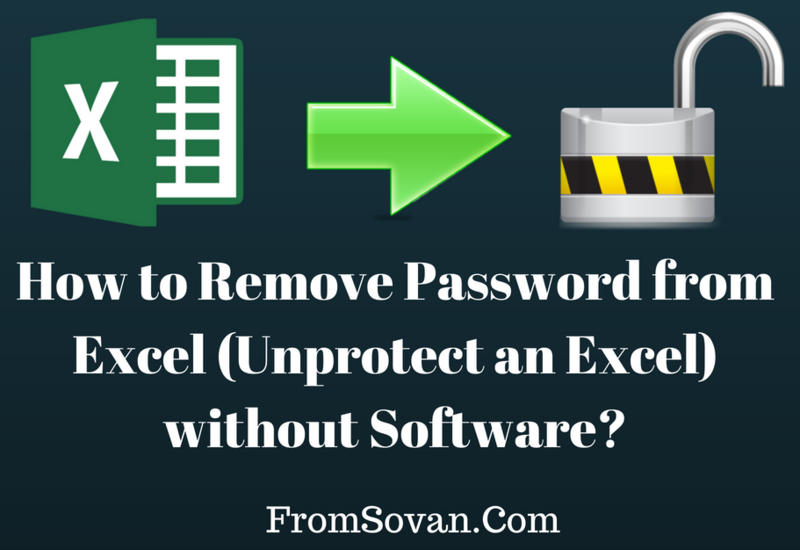 I hope this article "How to Remove Password from Excel (Unprotect an Excel) without Software?" will help you. If you have any query please mail me at fromsovan@gmail.com.